The Green Machine 2 Cycle Blower – Vac is the perfect tool for any lawn clean up job. Light weight, powerful & affordable this versatile blower and vac in one can reach air speeds of 150MPH and has a Mulching Ratio of 12:1. 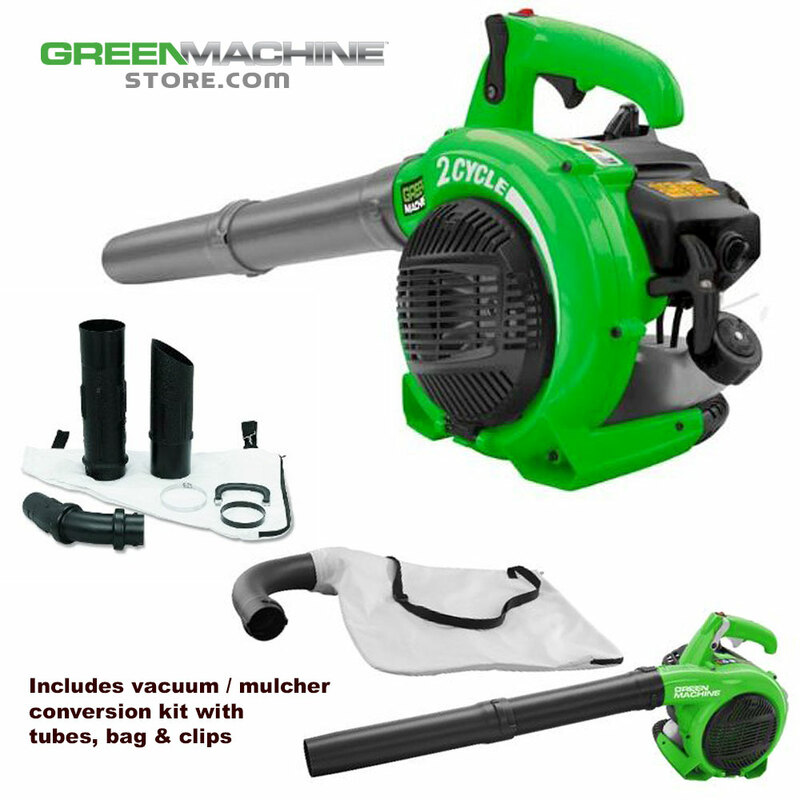 The Green Machine 2 Cycle Blower Vac includes a complete conversion kit with all the tubes, clamps and bag needed to switch between blower and vac. • Light Weight – 9.5 lbs.